Any Book by Jeffery Archer is highly anticipated. He is one of my favorite authors. Some of his past books like ‘Kane and Abel’, ‘Fourth Protocol’ , ‘Not a Penny More Not a Penny Less’ are in my all time favorite lists. His previous book ‘Paths of Glory’ and ‘A Prisoner by Birth’ were bestsellers as well. He is also known to write wonderful collection of short stories and this book is his sixth such collection. This collection has 15 such short stories dealing with various anecdotes, episodes, tales in his life. Some of the stories are based on true facts as well. 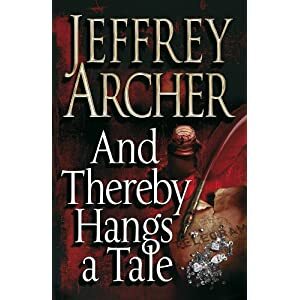 Jeffery Archer is known to create wonderful characters and build little stories around them. I am not a big fan of short story genre, I feel they are far too short for my liking and they get over the moment they get interesting. But when its by Jeffery Archer one has to read them. In this collection some of the stories do touch your heart, even though most of the stories are not very simple . The little twists in tales he creates in the end are very interesting, most of the time, however they do get bit predictable as we progress. People familiar with his style of writing would immeidately guess what the twist in the tale would be or the suspense would be. Most of his stories are based in Britain and some in America and other parts of Europe however the last story in the book is about an Indian couple’s true love story set in Delhi. Some the stories do have real nice plot and suspense. I wouldn’t rate this collection of his short stories as his best and frankly a bit disappointing from him after his wonderful last two books. This would in fact be one of his weakest book in some time. Hopefully he would write many more interesting tales. My Ratings : 6/10 – Do read them, Archer is interesting even at his weakest. Robin ‘Einstein’ Verghese is a typical engineering and management graduate out of a premier management college and landing a high paying management consulting job in a high-profile MNC firm. The story is about him, his adventures in Dufresne Partners, his love life with Gauri, his colleagues and mad mad world of management consultancy told to us via his diary, which he regularly updates. The story is about why he is the DORK , and called ‘Einstein’ by people who know him. How he stumbles from one problem to another or one silly situation to other and how he copes with each of them in his own duffer ways. He is the book version of ‘Mr. Bean’ only setup in real life Indian business management consultancy situations. The story is also about today’s generation who get into a career for a career’s sake. The book in parts is hilarious and you really feel good for the guy at times depending upon the situation. Of course not all incidents sound true but one does need to use exaggeration to pull out laughter at times. The book is a good weekend read, although I didn’t want to finish it too soon and wanted to remain in Einstein’s world for long. The good news is that the author Sidin Vadukut is planning a trilogy of the series and would soon be out with next 2 books. Definitely recommended for all lovers of satire and humor. 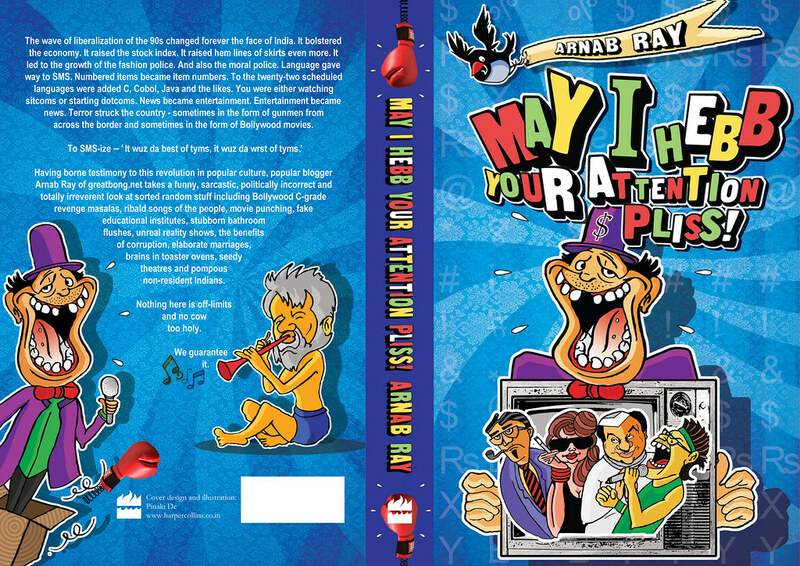 The reason I had bought the book ‘May I Hebb Your Attention Pliss’ were quite a few. Chief amongst them was the author Arnab Ray or Greatbong as he is known on Twitter and other such sites. I had read his blog , loved his articles and could easily identify with many of his writings. After all I have grown up in ‘India of the 90s’ as well. I had heard quite a few tweets by the author hardselling his book and I guess one of his tweets made me have a look at the book on Indiaplaza.in and the price was decent ( read cheap) enough to me to buy and so I ordered and waited for it to be delivered. Indiaplaza in their usual style messed up delivery and the book reached around 15 days after it was promised, the only compensation was that i received a detailed apology mail from Indiaplaza and received a ‘personally’ signed copy of the book. Now to the book review: The book was a breeze to read , as it is more a collection of his blogs then a book. It is more about experience of growing up in 90s of India. The entire book has lot of satire, wit and dark humor, which I usually like. I loved the chapters about Bollywood Cliches, Film of the 80s and 90s, Indian Politicians, , Terrorist attack, Management School, Television Soaps etc. Didn’t much like the chapters about the great wedding as I felt quite a lot of cliches in them and could almost tell what was going to happen and it did. Mainly it could be because I have been through similar experiences myself. Loved the special dedication to Prabhujee’s special films like Loha, Gunda, Diya aur Toofan etc. and had tears in my eyes reading them. Kanti Shah is a true inspiration to us all. I had expected the book to have a full fledged story rather than collection of blogs but it was still a novel experience reading it.